Eggplant is wonderful. A clean slate of sorts. And healthy, too. Unless you decide to bread it, then fry it in a ton of oil. Don’t get me wrong, I LOVE it that way, I really do. But a healthier alternative is always welcome. This is the way I make eggplant parmigiana when I’m behaving myself. And it still tastes pretty damn good. Peel eggplant in lengthwise strips. Slice thin (about 1/4 to 1/2 inch thick) lengthwise and lightly salt. Place on wire racks (or drape over a large pot) to drain moisture, for at least an hour. Preheat oven to 350. Spread a small amount of marinara on bottom of 9×9 square pan. Add layer of eggplant, followed by sauce, then mozzarella. Add another layer of eggplant, then sauce, then mozzarella. Top with sauce, then add grated cheese and basil. Cover and bake for 25 minutes, then remove cover and bake for an additional 10 minutes or so. 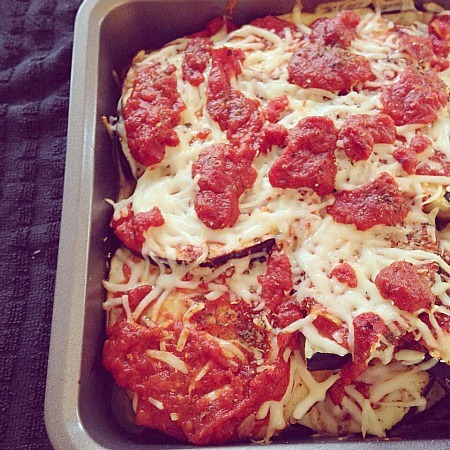 This entry was posted in eggplant, Italian, main dishes, make ahead, mozzarella. Bookmark the permalink. I love eggplant parm! Have you ever tried grilling it first? I thought I wouldn’t like it as much as frying but it was really good – gave it a smoky flavor. 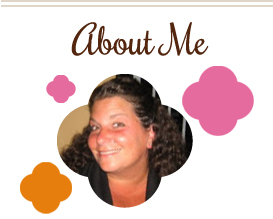 Thanks for linking up at A Little Nosh!